The feelings you experience at a luxury resort or the enjoyable moments using the bathroom in your guest room do not have to be limited to vacations. You can bring many of the same great features you find in hotel bathrooms into your home. 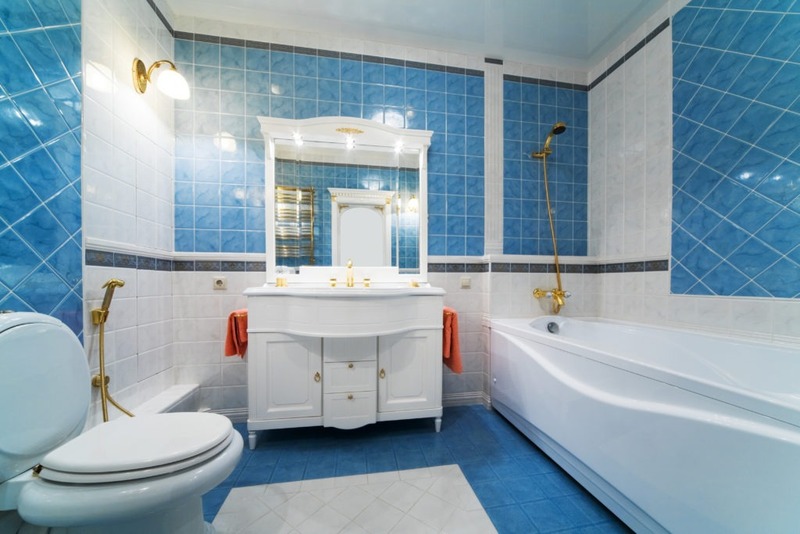 Granted, you often have less space to work with, but that does not mean you cannot turn your current bathroom into a five-star experience every time you use the bathroom! Marble Floors and Walls: You don’t have to take out a second mortgage to get the look and feel of marble floors and walls in your bathroom. There are high-quality vinyl, ceramics, and laminates that give the appearance of marble without the expense. You could even use one of these affordable options for your shower walls. Sliding Tub Enclosures: One trending feature found in hotel bathrooms is the use of overhead sliding doors to create an enclosure around the tub for more privacy. You can install similar overhead sliding doors in your bathroom. Soft Fluffy Towels: Many luxury hotels now sell their big, soft, and fluffy towels you can bring home and enjoy in your bathroom. You can also inquire which manufacturer they use and order direct. Bathroom TV: A TV built into the wall near the tub is a new trend people are enjoying in upscale hotel bathrooms. You can install a TV in your bathroom, too. Just make sure it is water- and moisture-resistant. Heated Floors: Install heated flooring if you enjoy using the floor heaters in hotel bathrooms. Modern floor heaters work with most types of flooring. Spa Features: Luxury hotel bathrooms often have a Jacuzzi-style tub, steam options in the shower, and other spa features. You can find similar upgrades you can incorporate into your bathroom. Separate Tub and Huge Shower: It is nice to have a separate tub and large stand-alone shower when staying at a hotel. There are separate tub and shower options to fit into your available space at home, even when you have a smaller bathroom. Natural Elements: From live plants to frosted glass windows to bring in more natural light, these are features you can borrow from a hotel bathroom when updating your bathroom at home. Quality Bath and Shower Products: The scent of soaps, shampoos, conditioners, and other bath and shower products can evoke a sense of relaxation when they are the same as or similar to the ones you enjoy using at your favorite luxury resort. Fluffy and Soft Bathrobes and Slippers: Bring home a set of bathrobes and slippers as a souvenir from your last vacation. Most high-end resorts sell these items or can refer you to where you can buy them online. These are just a few of the many great hotel bathroom ideas you can use in your bathroom at home. When you are looking for shower pans, walls, corner shower stalls, replacement bathtubs, and other bathroom accessories, please feel free to contact American Bath Enterprises, Inc. at (888) 228-4925 today!